Since last January, ULFA and the Board of Governors have been involved in a discussion regarding the application of the “Bridging” provisions of the Labour Relations Code to the payment of Cost of Living Adjustments (COLA) due under the current collective agreement. (You can read more about the issues at stake and background here. The history of our discussion and the involvement of the Labour Relations Board can be followed here, here, here, here, and here). In late September, the Alberta Labour Relations Board dismissed the Board of Governors’ argument that the issue was a matter of the interpretation of the Collective Agreement. The next steps in the process were a case management meeting (scheduled for November 28) and a two day hearing (Dec. 18 and 19). The Board of Governors has recently hired an external law firm to represent it in this case. Due to a personal emergency affecting one of the potential participants, the December hearing has now been rescheduled for February 2019. The rescheduling does not affect Members’ rights or any back-pay for the withheld COLA should ULFA’s position prove successful. 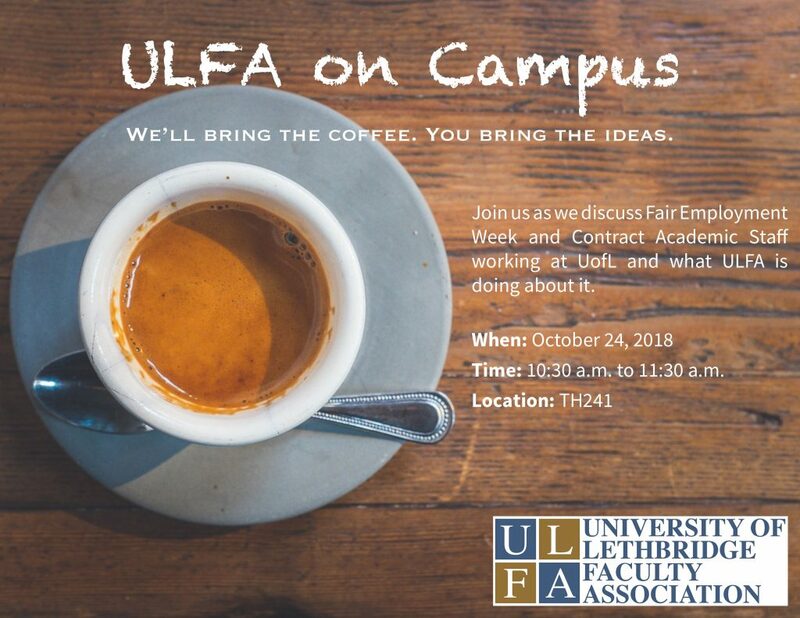 Join us as we discuss Fair Employment Week & Contract Academic Staff working at UofL and what ULFA is doing about it. 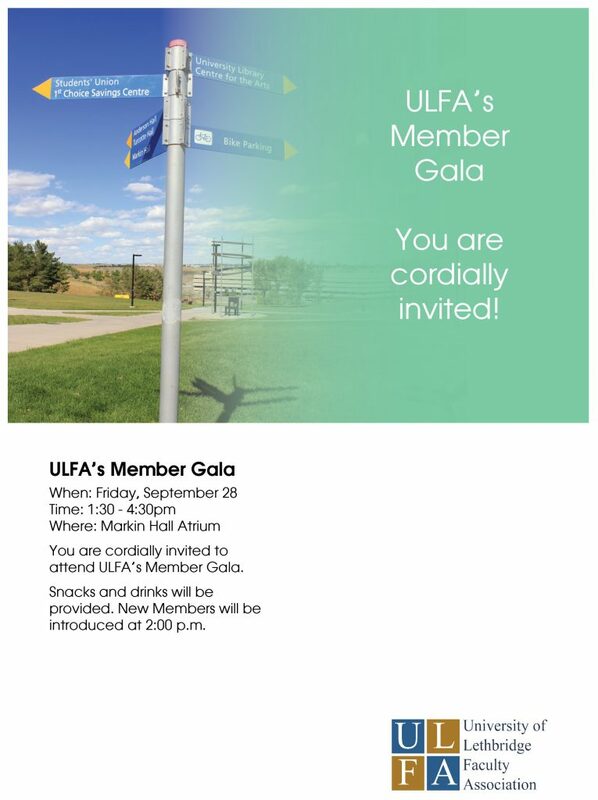 You are cordially invited to attend ULFA’s Member Gala on Friday, September 28, 2018 from 1:30-4:30pm in the Markin Hall Atrium. This is a great opportunity to meet new and returning colleagues from around campus and take a break from a busy semester. Introductions of ULFA’s new members will take place at 2:00pm. Music and conversation will take place throughout. Please mark your calendars and make sure your colleagues plan to attend.